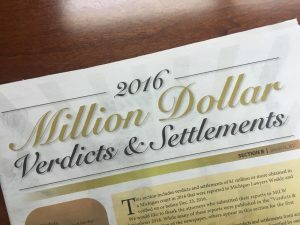 The 2016 Million Dollar Verdicts and Settlements issue of Michigan Lawyers Weekly was published on January 16, 2017. 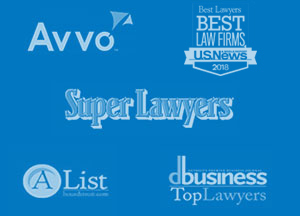 Our firm was recognized for the 6th and 49th largest settlements in the state. 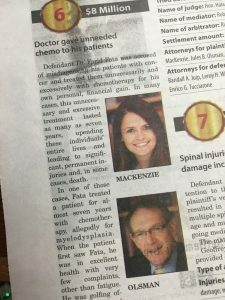 The 6th largest settlement was reached in the cases handled by Donna MacKenzie and Jules Olsman against Farid Fata for giving unneeded chemo to his patients. 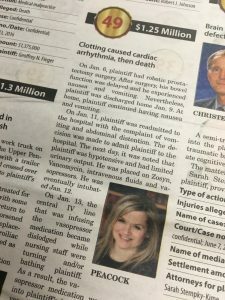 The 49th largest settlement was reached in a case handled by Emily Peacock and Jules Olsman against a hospital for failing to timely diagnose and treat a patient, resulting in death.